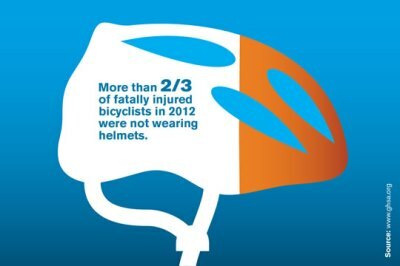 More and more bikers are taking to the roads. That’s good for many reasons: it’s an an environment-friendly transportation option, it’s economical and it offers health and cardio benefits to the rider. The report also notes that some groups are at higher risk. 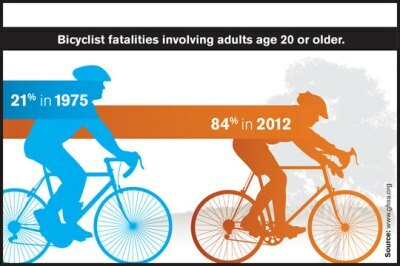 In 1975, adults represented only 21% of all fatalities; On 1974, adults repreent 74% of all fatalities. 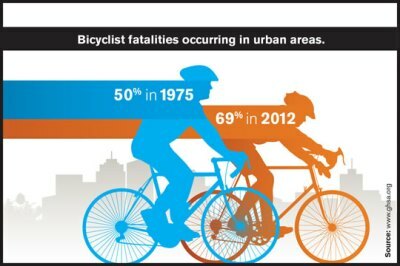 Bicycle fatalities are increasingly an urban phenomenon, accounting for 69 percent of all bicycle fatalities in 2012, compared with 50 percent in 1975. 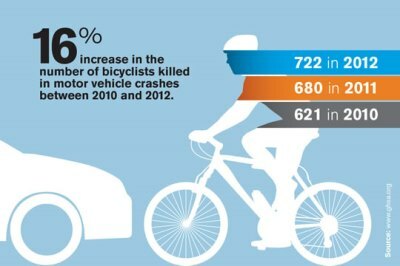 While bicyclists killed in motor vehicle crashes increased in 22 states between 2010 and 2012, six states – California, Florida, Illinois, New York, Michigan and Texas – represented 54 percent of all fatalities. 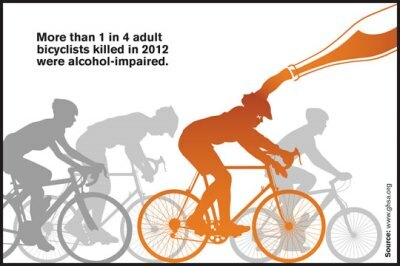 28% of riders age 16+ had blood alcohol concentrations of .08 percent or higher, compared with 33 percent of fatally injured passenger vehicle drivers.